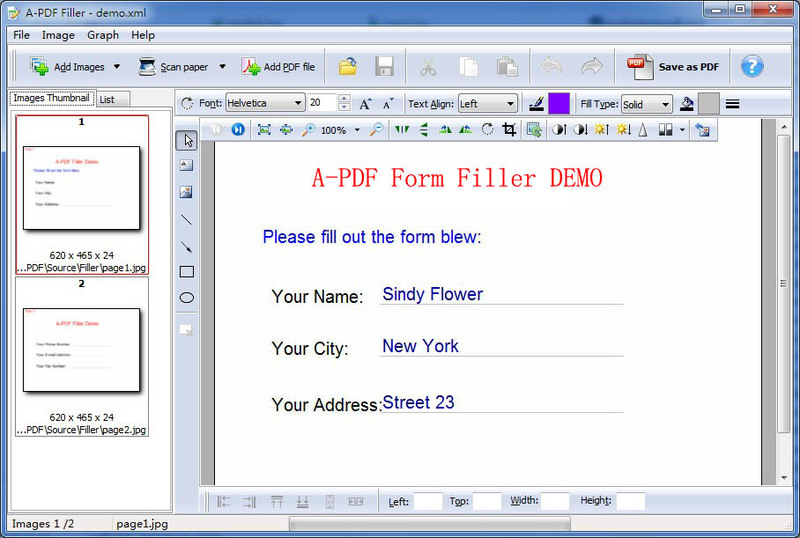 A-PDF Form Filler is a simple, lightning-fast and powerful desktop utility program that lets you scan and fill paper forms or fill out a form in image format. With A-PDF Form Filler, you can scan a form, load the Form as a background image and add input fields. Edit the form and export to PDF or save the form layout and fill it up later. With A-PDF Form Filler, you just scan your form directly from the program, get the form image on the screen, and fill out the form by simply typing where you need to have the form filled out. If you do not have a scanner, just bring the scanned form image from another computer. A-PDF Form Filler provides a visual form filler editor to define filler field type such as text, image, rectangle, line, arrow, ellipse and their position, color, alignment, size attributes conveniently! A-PDF Form Filler can Batch De-skew, Black&white, Crop, Flip, Rotate Scanned papers before you Fill them. Multi-Select form fields- you can select multiple fields and do group operations like size, align and delete. Adjustment and sizing of all selected items and make design of complex forms much easier. Fill the form manually and print it. You can save data to a XML file if you wish. Load data from XML file. You can edit data and save the XML file back or save it under new name. Fill and save as project (.XML) for later use. 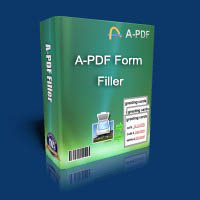 A-PDF Form Filler is a standalone program costing only $27. It does NOT require Adobe Acrobat Pro, which costs hundreds of dollars. A-PDF Label - add lable to PDF from excel. A-PDF Watermark - add watermark\stamp to PDF.